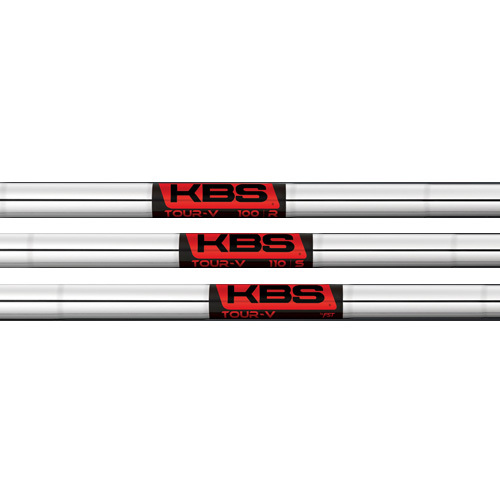 Like the popular KBS Tour shaft, the KBS Tour-V provides tight shot dispersion. The difference in the KBS Tour-V is its lighter weight and less ball spin for players who prefer it. The KBS Tour-V shaft, the newest addition to the KBS line has already been proven on professional tours with wins worldwide, including the 2013 Open Championship. The Tour-V is available in three flexes (110g R, 110g S, 120g X) and offers up to 20% tighter shot dispersion than other popular shafts on the PGA Tour. 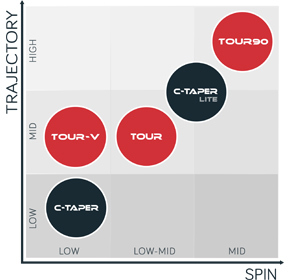 “Dispersion with the Tour-V is some of the tightest we have ever seen and it maintains our signature smooth feel at impact. Lighter weight has become more popular and this allows golfers to swing a little easier.” commented Kim Braly, Director of R&D and PGA Tour Operations. 40.5" 40" 39.5" 39" 38.5" 38" 37.5" 37" 37"